These signs were back to back. 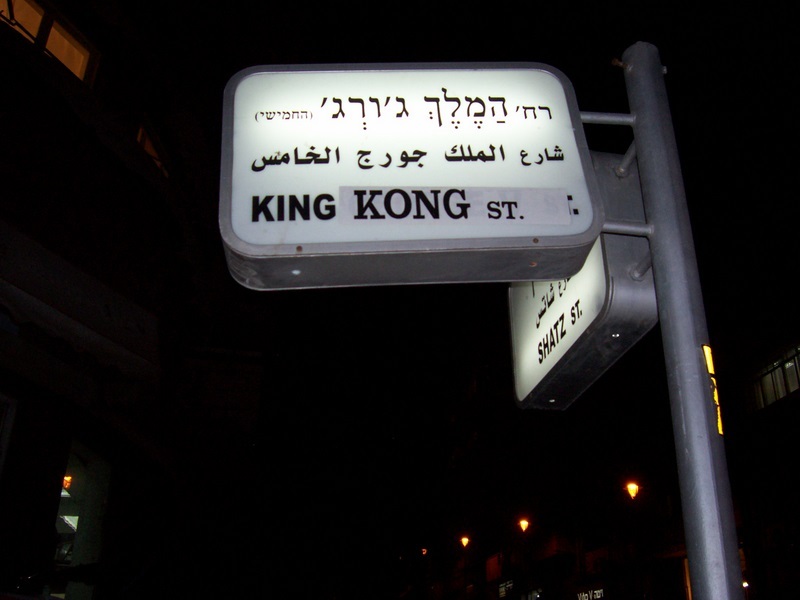 Another instance of this is Jaffa Street is also sign posted as Yaffo Street. Looking on a map (on paper or off google maps) spellings of road name vary wildly which can really confuse tourists. Seems different English translations of Hebrew words are quite common. Moshiach (Hebrew for Messiah) can also be spelt Mashiach or possible other ways as well. As well as lot of graffiti I sometimes see, defacing signs for comedy and mischief purposes is something quite funny I see sometimes.